Well after a rather exciting day yesterday, today follows with National Sugar Cookie day! For all us Brits out there, sugar cookies are essentially cookies or biscuits (sugar cookies are American) and can have a large range of toppings from simple icing, to elaborate decoration. Now, National Sugar Cookie day is a great day for all you guys out there with one heck of a sweet tooth (pretty much everyone, right?!) so I bet your mouths are watering right now? Cookies have to be one of the greatest pleasures in life, and I love nothing more than biting in to a warm chocolate chip cookie......not so much the cleaning up after baking them though. And as per usual, we have no creator or origin on this day, or even anything to prove that this day is in fact national. But hey ho, this is something I am sure I can get over. Now my challenge to you for today is: bake some cookies! I want you to bake the best cookies you can manage and decorate them! The best looking cookies might even get a mention on my blog. You can tweet me @LovelyChubly #CookieMonster with your pictures, or for you Twitter-less people, you can post in the comments box below. 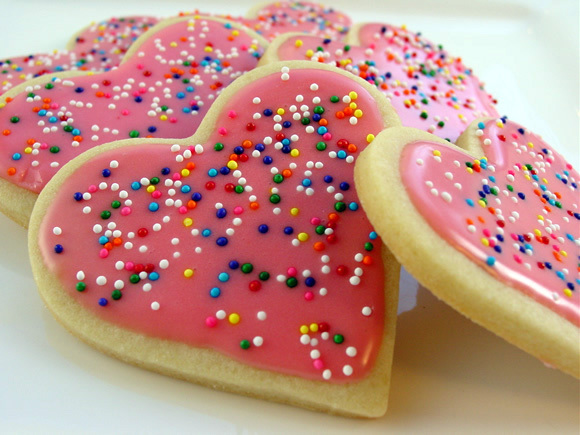 I have to say, I wish every day was Sugar Cookie Day. I do like a good excuse to eat as much as I can muster. Might be the reason why my name is Lovely CHUBLY, eh? Here is a lovely picture from averagebetty.com showing you the sort of thing I might be looking for! That is all for now, guys. Tune back in tomorrow to see what is in store!